happy 2012! again i have to apologize for being a lazy blogger but here is the real reason this time: i am no longer a vegetarian. i know, i know, i made such a statement at the beginning of all this, but it’s just too hard to be a vegiac. maybe someday i’ll go back, but the truth is i feel like i make more of a statement about humane treatment of animals by supporting local, sustainable and humane farms than by not eating meat at all. however, in the spirit of this blog, i will continue to only post vegetarian dishes here. this just means it will be mostly baked goods (who wants to eat anything else anyway?). 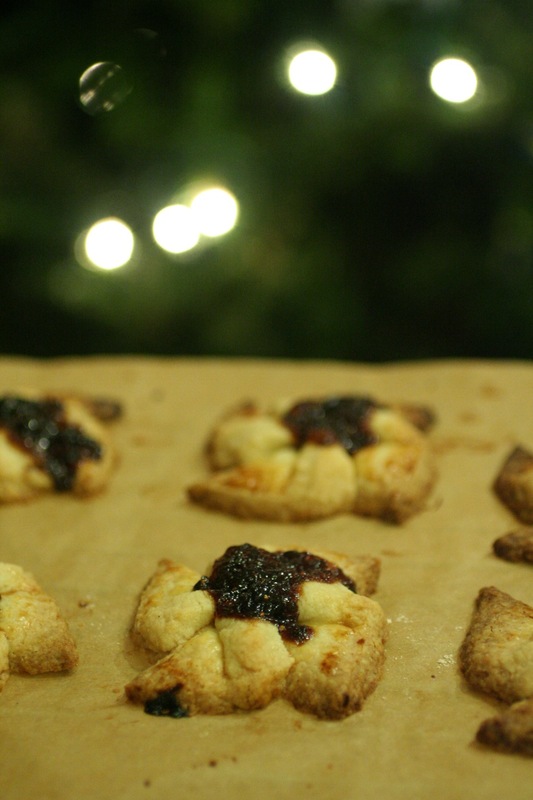 in the midst of december madness, i modified a martha stewart cookie recipe for quince-fig pinwheels using the Authentic Foods Multi Blend flour and in true martha form they took about 4 hours but looked and tasted heavenly. I also substituted the butter with earth balance which made it seem a bit less deadly. 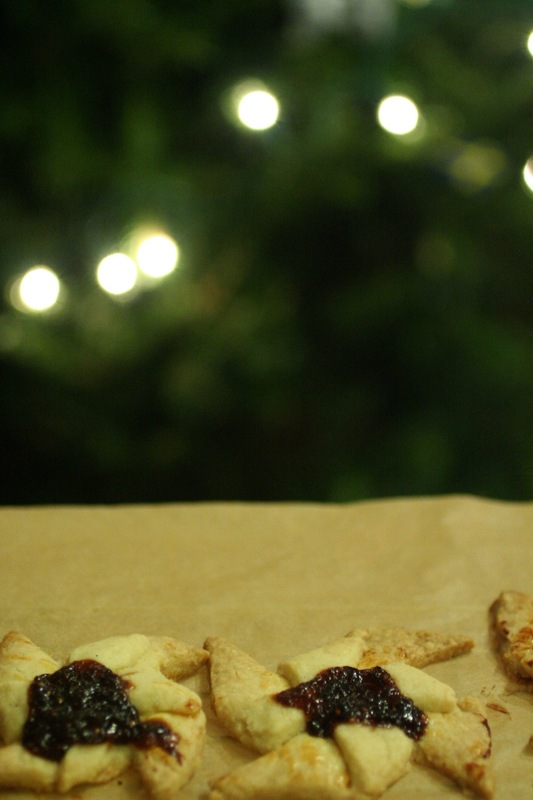 See the december issue for the recipe. I made blueberry chia muffins (recipe on the back of the flour mix), which tasted delicious, but unfortunately disappeared into our stomachs before they could be photographed. 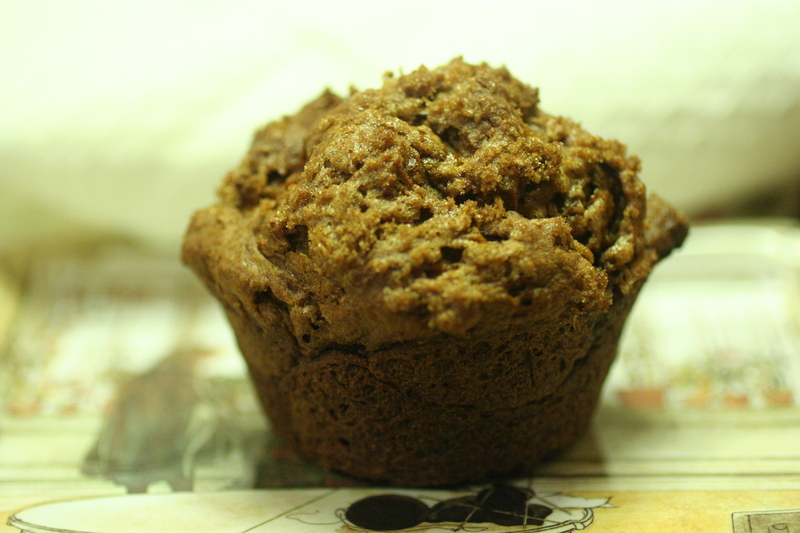 Luckily, I did get a snapshot of the next week’s muffin adventure, a peanut-flour sweet potato puree muffin that was absolutely amazing. Bananas were replaced 1:1 with sweet potato puree (canned) and I left out the chocolate chips and chopped peanuts on top. 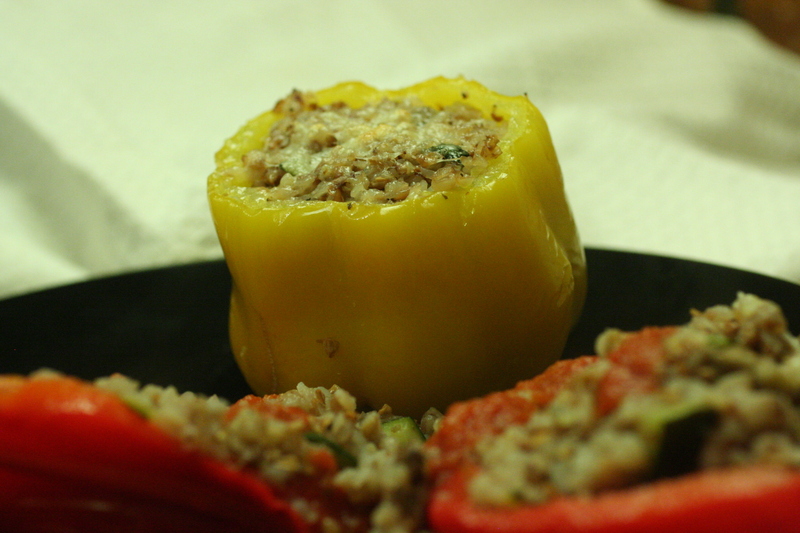 Same night, I made stuffed peppers with kasha, which is pure buckwheat and therefore gluten-free. I had never had kasha before, and I have to say I will definitely have it again. The kasha was mixed with mushrooms and zucchini, cooked, stuffed into the peppers and then baked until the peppers started to crinkle. It was very improvised. You are currently reading the christmas new year roundup at brooklyn vegiac.